Neuroene Therapeutics, a start-up company founded by mitochondrial biologist Sherine S. L. Chan, Ph.D. and medicinal chemist C. James Chou, Ph.D. of the Medical University of South Carolina, has received a $1.5 million NIH Phase II Small Business Innovation Research grant to optimize vitamin K analogues that could improve seizure control in patients with drug-resistant epilepsy. A new British Journal of Clinical Pharmacology review examines the potential of medicinal cannabis--or medical marijuana--for helping patients with intractable epilepsy, in which seizures fail to come under control with standard anticonvulsant treatment. A pioneering study has found Australian parents who turned to medicinal cannabis to treat children with epilepsy overwhelmingly (75 percent) considered the extracts as "effective". Contrary to parental expectations, extracts generally contained low doses of cannabidiol - commonly considered to be a key therapeutic element and that has been successfully used in recent clinical trials to treat epilepsy. Researchers at the University of California, Irvine School of Medicine have discovered the first example of a novel mode of neurotransmitter-based communication. New research published in Epilepsia, a journal of the International League Against Epilepsy (ILAE), suggests that an investigational neurological treatment derived from cannabis may alter the blood levels of commonly used antiepileptic drugs. Tiny vesicles isolated from adult mesenchymal stem cells and administered intranasally can limit the damage to the brain of animal models caused by a seizure disorder called status epilepticus, according to research published this week in the Proceedings of the National Academy of Sciences. An international study led by Columbia University Medical Center and NewYork-Presbyterian researchers has found that several genes previously implicated only in rare, severe forms of pediatric epilepsy also contribute to common forms of the disorder. The University of Utah College of Pharmacy's Anticonvulsant Drug Development Program has been awarded a five-year $19.5 million contract renewal with the National Institutes of Health to test drugs to treat epilepsy, and the major focus of the project is to address needs that affect millions of people worldwide -identify novel investigational compounds to prevent the development of epilepsy or to treat refractory, or drug-resistant, epilepsy. Dr. Robert Zura, the Robert D'Ambrosia Professor and Head of Orthopaedic Surgery at LSU Health New Orleans School of Medicine, was part of a research team that identified risk factors which may help orthopaedic surgeons better predict a serious complication of bone fractures. In epileptic patients, seizures lead to an increased level of inflammation-related proteins called chemokines in the brain, and systemic inflammation likely helps trigger and promote the recurrence of seizures, making inflammation a promising new target for anticonvulsant therapy. Pregnant women with epilepsy should not rule out continuing lamotrigine therapy due to concerns that exposure could increase the risk of orofacial clefts in their babies, say investigators. The anticonvulsant medication gabapentin—already a useful part of strategies to control pain after surgery—also effectively reduces the common complication of postoperative nausea and vomiting (PONV), reports a study in Anesthesia & Analgesia. A study published ahead of print in the The Journal of General Physiology has revealed new insights into Retigabine, a known pharmacological treatment for epilepsy. University of California, Irvine researchers with the School of Medicine have identified the mechanism by which valproic acid controls epileptic seizures, and by doing so, also revealed an underlying factor of seizures. 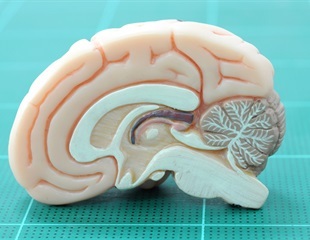 Levetiracetam manufactured using three-dimensional (3D) printing has been approved by the US Food and Drug Administration (FDA) for the treatment of epilepsy.